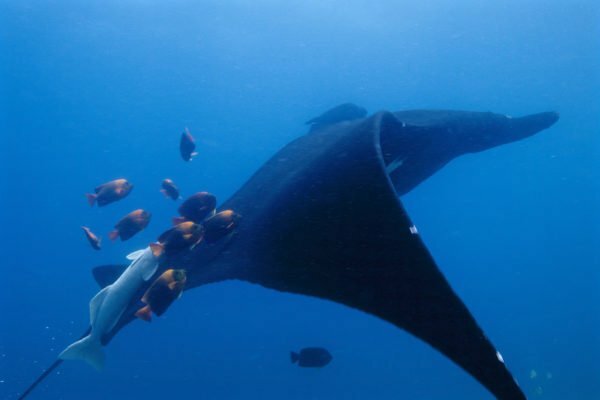 Mexico has created a huge marine park around a group of islands home to hundreds of species including rays, whales and sea turtles. The Revillagigedo Archipelago is a group of volcanic islands off Mexico’s south-east coast. With a protection zone of 57,000 square miles, it has become the largest ocean reserve in North America. The Mexican government is hoping the move will help populations hit by commercial fishing operations in the area recover. The park was designated by a decree signed by President Enrique Pena Nieto. It will also forbid natural resources being extracted from the land or the building of new hotel infrastructure. The area, which is about 250 miles south-east of Mexico’s Baja California peninsula has been described as the Galapagos of North America, because of its volcanic nature and unique ecology. In 2016, the Pacific Ocean site was named as a UNESCO world heritage area. According to local media, María José Villanueva – the director of conservation of WWF in Mexico – described the move as an “important precedent” to the rest of the world.